Need some assistance in getting pedigrees for the following three horses. Two Grande. Was of racing age in 1947. Saltese Buddy. Racing age in 1948. Monroe. Racing age in 1958. Horses were trained by my great grandfather. Just came into possession of some, "winners" photos of them. The above dates were from the photos. 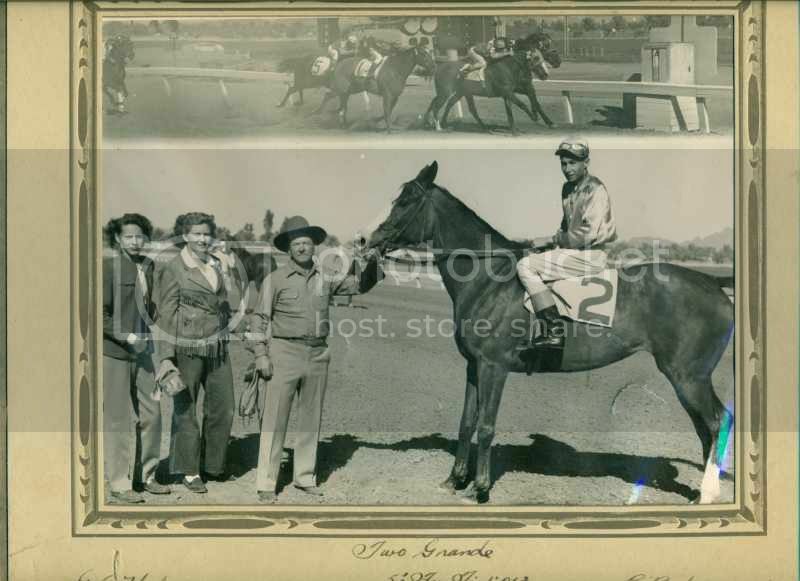 On the Two Grand horse, "Two Grande" was what the photo, (from Ingleside Turf Club) said. Whoever labelled the photo just didn't get the registered name quite right. It (still) happens. 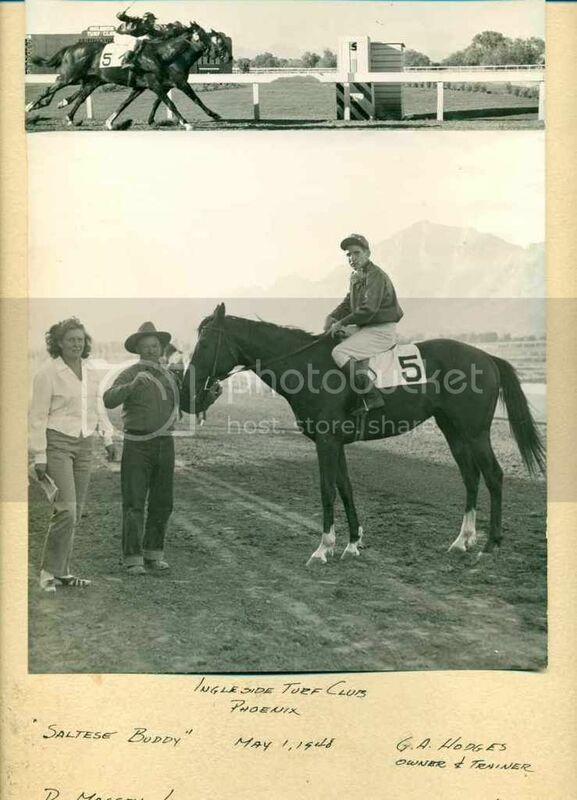 There was no Two Grand(e) racing in North America in timeframe other than the 1939 mare by Pairbypair. Again, thanks for all you do on this site. Thought I would share photos of the horses you entered. I enjoy looking atold racing photos. 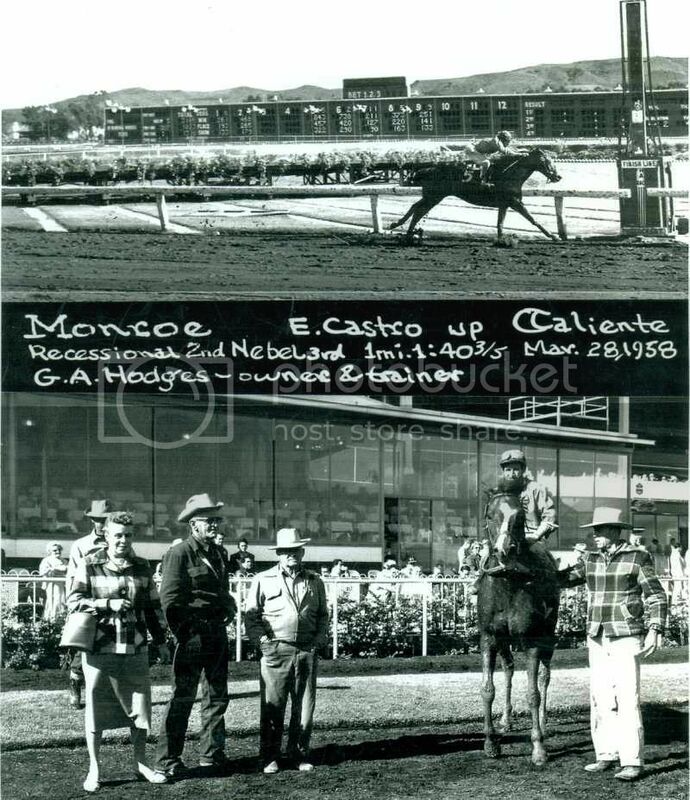 From what I understand, Ingleside Turf club was the predecessor of the current Turf Paradise. I was hoping you'd share the photos. Thanks! (Want to add them to the entries?) Yes, the Ingleside track in Phoenix was the predecessor of TUP. Photos for Monroe and Two Grand(e) have been added. Ran into a tedious recurring glitch when I tried to add the photo for Saltese Buddy - nothing to do with the photo itself. Want to have the db admin take a look at the entry before I employ the usual workaround to add a photo to it.